Bridle Wood at The Fields is a townhome community nestled in the heart of the Orem, Provo and Vineyard area. Designed to deliver affordable luxury, a vibrant community, convenience and access to the city while preserving open space and rural living. 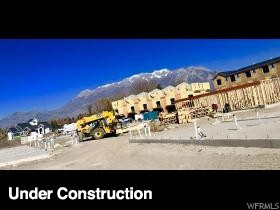 These gorgeous Orem townhomes will have innovative designs and contemporary styling. Most of the 42 homes boast amazing views of the mountains from your covered deck and great room. Our three-level traditional townhomes feature floor plans that include open living areas, a large master suite, 2-car garage and access to outdoor common areas, designed for you to enjoy the rural setting of The Fields community. First homes to be complete at the end of April. There is no better way to Spring forward then in your brand new home!. Model Home Hours will be Mon-Sat 10am - 6pm. No showings available at this time. Please contact agent.